Looking back at SPACE: 1999 | Warped Factor - Words in the Key of Geek. Tom Pheby looks back at Gerry Anderson's mid 1970s venture into live action television, Space: 1999. It's well known fact that just because you have what seems like a half decent germ of an idea and you throw a truck load of money at it, it doesn't necessarily mean that a project will live up to expectation or deliver anything of note. 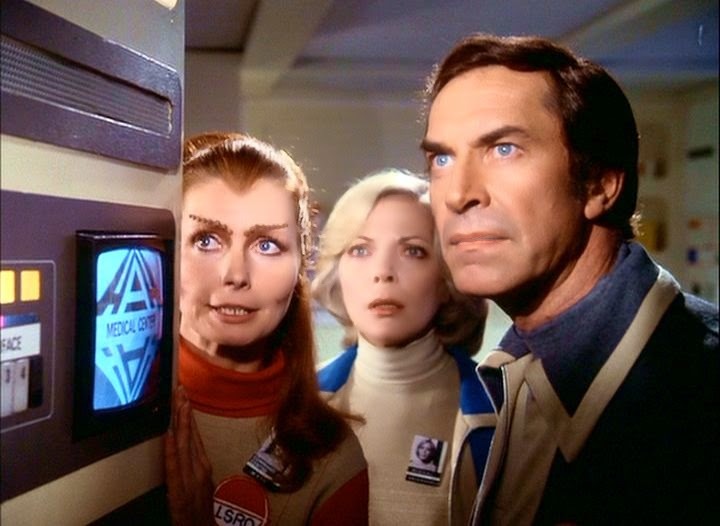 Television is littered with the carcasses of programs that were monumental failures, mainly because of knee jerk reactions to a trend, and this is no more typical than in the case of Space: 1999 (1975-1977). So whats the Story? It starts sedately enough on a scientific research centre on the moon called Moonbase Alpha (originality at its best) at a time when the Earth has run out of hidey holes to stash all it's nuclear waste. It's universally decided to put it all in gigantic waste silos on the dark side of the dusty planet. This sets the scene for a predictable catastrophic disaster that throws the moon from its orbit and casts it out into the far reaches of space to encounter species from hither and dither. 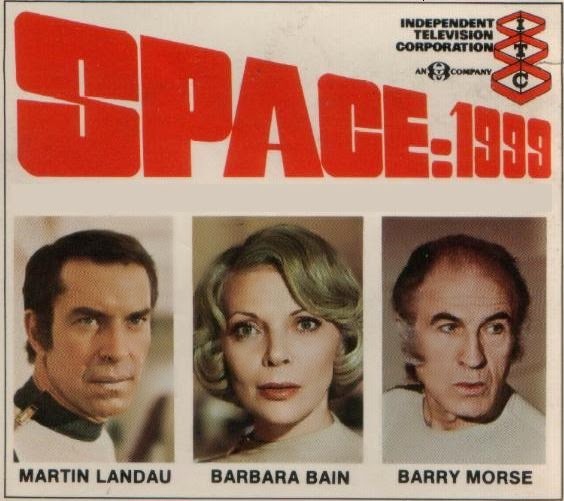 Space 1999 was sort of ramshackled version of Star Trek, minus the Warp capabilities, and starred Martin Landau as Commander John Koenig - in charge of the 300 odd space bound exiles - and his even less well known wife, Barbara Bain as Dr Helena Russell. Both had put in stints on the global sensation Mission Impossible and had obviously decided it was time to star in something that resembled ' Mission Implausible'. These appointments were chiefly down to the shows creator Gerry Anderson, best known for Thunderbirds, Stingray and Joe 90, and who had no real track record with producing adult drama involving real people (unless you count UFO, which I don't!). What Gerry 'Stringer' overlooked was that not many puppets complain about the quality of the scripts or demand their own luxury Winnebago's, they take direction easily and hardly ever storm off set because they were given the wrong mineral water. Real people - or actors as they are more commonly known - can be needy, precious and hysterical drama queens who moan about the quality of the air and the colour of the camera mans sweater. Landau apparently requested all the best lines, more air time and changes to the scripts that befitted his anonymity. Another unforeseen problem was Barry Morse who played the lugubrious science whizz Professor Victor Bergman. He had the temerity to demand a pay increase and so disappeared without trace, no doubt sucked out into space through a wormhole in his contract. He stated at the time of his departure that he "wanted to go and play with grown ups for a while", but no doubt ended up in the mortuary of a detective series as a weary and dry witted mortician. 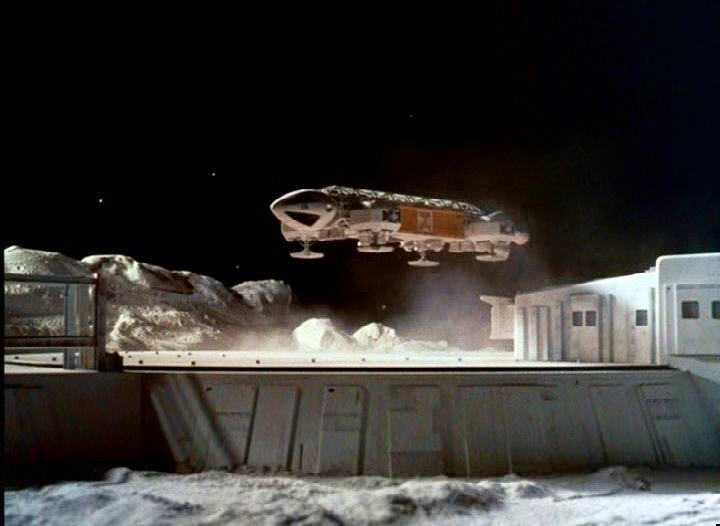 Space: 1999 did achieve occasional high points, it was visually spectacular for the period (made at Pinewood Studios) and was the most expensive series ever made at that time. It improved, especially in the second season which was more action packed and executed with pace, but it was inevitable that even with the introduction of new characters, time was running out. It's limitations made it 'a one trick pony', excitement wasn't freely available for the viewing audience and try as you might you didn't really care enough about anyone in particular to register any level of anxiety. The man financing the show was self proclaimed 'Television Mogul' Lew Grade, or 'Low Grade' as he was often referred to (because of the quality of his programmes, and that he unashamedly aimed his shows at the American market hoping they would gobble them up like an obese teenager with money off vouchers at the local burger bar – but that's another article). Grade is actually on record as saying "all MY shows are great, some of them are bad but they're all great", which probably confuses as much as it enlightens and gets us no nearer to finding out what 'old money bags' actually thought of anything he ever produced. But as Space: 1999 rolled on, it was clear that Low Grade had never read a script and that Gepetto (Anderson) lacked the necessary credentials to avoid the series spinning off into oblivion. The biggest issue without a doubt was in the casting of the lead roles Koenig (Landau) was a dour, uninspiring authoritative figure, who was never wrong about anything much and delivered his lines like an accountant offering an opinion on a spreadsheet. Landau himself is a seriously straight, one dimensional actor who finds it difficult to register wind - let alone tense performances. His on screen wife (Bain), who resembled Debbie Harry's Mum, delivered equally expressionless appearances with the aplomb of a mannequin. She seemed more concerned with capturing her best side on camera, barely able to move her head without the rest of her body joining in. However, the supporting cast did often lighten the mood. Appearances by Brian Blessed, Ian McShane and 'Soap Goddess' Joan Collins all tried to work gamely with the mumbo jumbo scripts, but the whole thing rarely ever jumped a gear and once you recover from the shock of the Moon missing from the night sky, it's as predictable as doing the house work or a Christmas office party. Looking back at it now, it's hardly a Sci-Fi classic, but can occasionally be a strangely enjoyable piece of disposable television. The effects are sound enough, that's if you decide to ignore that the spaceships are models, probably no more that a foot in length. Every set is kitted out in Ikea furnishings or Vivienne Westwood 'cobble ups' – it must have been hard to know what was functional equipment and what you could rest your space weary bottom on without creating another major panic! You could say that the whole thing was notably humourless, like eating a box of crackers and washing it down with a glass of sand. But to be fair, if you are stuck on the Moon then laughs would be in short supply, I guess. Some say it's Anderson's finest hour but unfortunately I disagree. He struggled to reach the grown up audience he craved for and although it wasn't a major disaster, it wasn't the success all concerned had anticipated. It was all a bit like making a stereotypical show about space dwelling northerners entitled "Eckie Thump Trek". 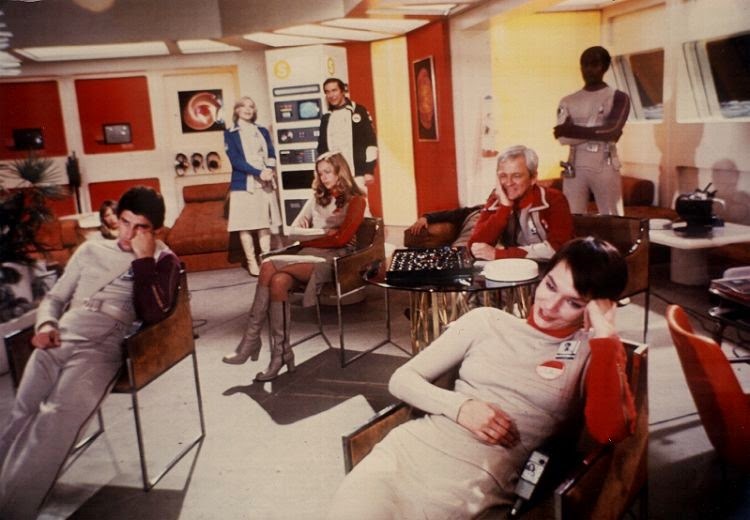 Simply put, Space: 1999 lacked the pizzaz of any number of American shows of that particular genre. Gerry Anderson's name will always be associated with his groundbreaking children's programmes, and although he wanted more what he did achieve through Thunderbirds, Captain Scarlet and his many other Supermarionation series' was outstanding. He sadly passed away in 2012 but even the mention of his name can remind so many grown ups just how fun their childhood was.